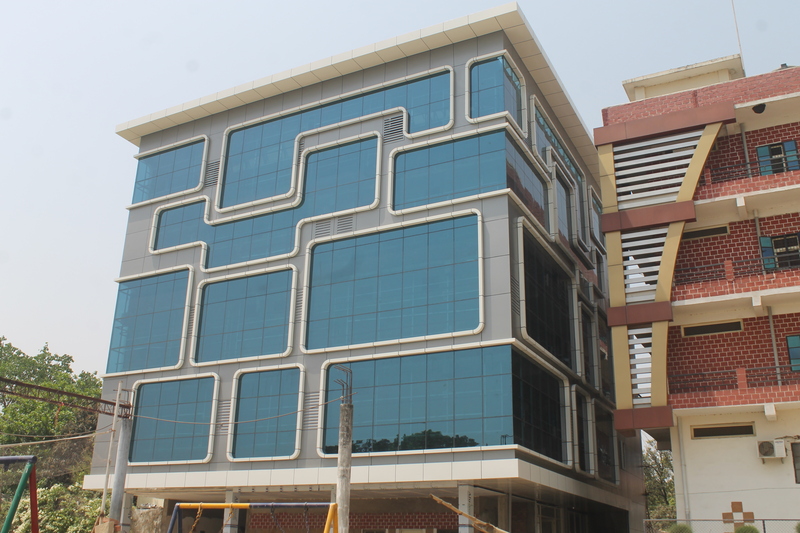 Construction of the new four story building of The Aryan International School is wrapping up this month. The inauguration function of the school building is announced to take place on 15th April 2018. The new building caters to streams of Commerce, Finance & Humanities and has the capacity to accommodate 400+ students. The infrastructure is well equipped with modern facilities and it will be 100% e-campus. It also features a dummy terminal link for the Delhi Stock Exchange for the students of Financial Markets (FMM – only school in Varanasi to have this stream). The students will be doing dummy trading in stocks and shares. There will be regular visits of professionals to the campus to address students for their upcoming future career prospects. Along with this more emphasis is to be given for admission to foreign universities in which the school is tying up with renowned agencies of the country to assist students for getting admission on attractive scholarships. The school is also planning to have in house preparation for entrance exams to prestigious and renowned universities of India and preparing them for CLAT entrances, SAT etc.